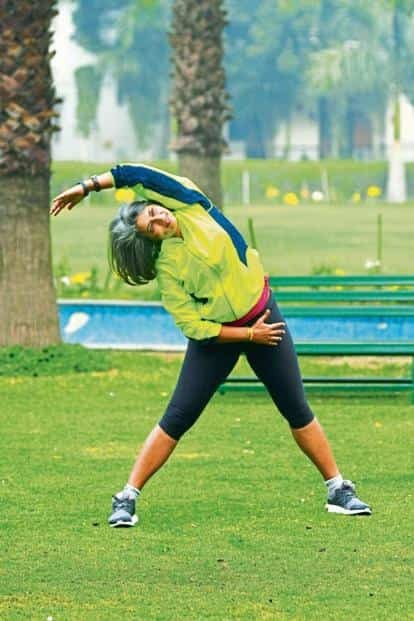 Physical fitness, coupled with good mental health, is essential to becoming a leader, says Nandita Abraham, CEO of the Pearl Academy, a design and fashion institute in Delhi. “The world is full of challenges as well as opportunities, and the moment you step out of your comfort zone, you will meet both. Attaining excellence is impossible if you are not physically fit," she says. It was only in late 2014 that Abraham, 49, decided to sign up for a race, and not just a small one at that—the Oxfam 100km trailwalk, a run and walk event between Pune and Lonavla. It took her, and her three teammates, 33.5 hours to cross the finish line. Since then, Abraham has done two 100km trailwalks (finishing the second in 28 hours, 20 minutes), a half marathon and several 10km races. Did you ever hit a wall? During my first 100km walk, I felt like I was never going to make it. My feet developed blisters after 50km. It was painful to keep going but my team members—my husband and two friends—egged me on. But once I reached 75km, everything changed. I could see the goal closing in. I got a surge of energy and jogged till the finish line. What lessons have you learnt from that episode? I learnt a couple of things that day: Always break your journey into shorter goals, you never really know your full potential, and that a team/supportive family are super important for any success. Any leadership lessons from running? Every time you finish a run you know that you can do better next time. It’s the same with leadership. The desire to keep improving and achieve goals never ends. Besides, it’s easier to be a positive leader when your body is full of positivity. This motivates you to lead with confidence, optimism and the belief that one can do the impossible. What impact does leading by example as a fit leader have? It definitely impacts the organization and everyone working with it. I would like to do more in terms of encouraging fitness at the Pearl Academy. It has become part of our culture and we sponsored 50 people running different distances at the Airtel half marathon this year. How does running influence your performance at work? When you run, you will be fit. And when you are fit, everything looks different. You stand straighter, feel better, and are more open to challenges. There is an igniting feeling inside you, which makes you think that everything is possible; you just need to figure out the best way to get there. Running is meditation and actually helps you be still and focus. Discipline in a runner’s life is paramount. Do you think this discipline also reflects your leadership style? Discipline is a major part of leadership. It is like a daily habit that you get used to. The way you guide your subordinates, the way you help them achieve great heights, absolutely depends on how disciplined you are. And without discipline, you can never become a great leader. There is a special memory and this has happened more than once—where you go so deep into the rhythm of running that everything else disappears—it’s only you and the road. And running feels like floating, like a dance between you and the road. This doesn’t happen on every run, but whenever it does, the experience is absolutely the same. Running With The Boss is a series in which CEOs, MDs and senior executives talk about the importance of a fit team and striking a work-life balance through running.